So what? Well… I’ve started to think that the wavefunction may not only describe some oscillation in spacetime. I’ve started to think the wavefunction—any wavefunction, really (so I am not talking gravitational waves only)—is nothing but an oscillation of spacetime. What makes them different is the geometry of those wavefunctions, and the coefficient(s) representing their amplitude, which must be related to their relative strength—somehow, although I still have to figure out how exactly. We now know there is no medium – no aether – but physicists still haven’t answered the most fundamental question: what is it that is oscillating? No one has gone beyond the abstract math. I dare to say now that it must be spacetime itself. In order to prove this, I’ll have to study Einstein’s general theory of relativity. But this post will already cover some basics. Note that FP, lP, and tP are expressed in our old-fashioned SI units here, i.e. in newton (N), meter (m) and seconds (s) respectively. So FP, lP, and tP have a numerical value as well as a dimension, just like ħ. They’re not just numbers. If we’d want to be very explicit, we could write: FP = FP [force], or FP = FP N, and you could do the same for lP and tP. However, it’s rather tedious to mention those dimensions all the time, so I’ll just assume you understand the symbols we’re using do not represent some dimensionless number. In fact, that’s what distinguishes physical constants from mathematical constants. Dimensions are also distinguishes physics equations from purely mathematical ones: an equation in physics will always relate some physical quantities and, hence, when you’re dealing with physics equations, you always need to wonder about the dimensions. [Note that the term ‘dimension’ has many definitions… But… Well… I suppose you know what I am talking about here, and I need to move on. So let’s do that.] Let’s re-write that ħ = FP∙lP∙tP formula as follows: ħ/tP = FP∙lP. FP∙lP is, obviously, a force times a distance, so that’s energy. Please do check the dimensions on the left-hand side as well: [ħ/tP] = [[ħ]/[tP] = (N·m·s)/s = N·m. In short, we can think of EP = FP∙lP = ħ/tP as being some ‘natural’ unit as well. But what would it correspond to—physically? What is its meaning? We may be tempted to call it the quantum of energy that’s associated with our quantum of action, but… Well… No. While it’s referred to as the Planck energy, it’s actually a rather large unit, and so… Well… No. We should not think of it as the quantum of energy. We have a quantum of action but no quantum of energy. Sorry. Let’s move on. In the same vein, we can re-write the ħ = FP∙lP∙tP as ħ/lP = FP∙tP. Same thing with the dimensions—or ‘same-same but different’, as they say in Asia: [ħ/lP] = [FP∙tP] = N·m·s)/m = N·s. Force times time is momentum and, hence, we may now be tempted to think of pP = FP∙tP = ħ/lP as the quantum of momentum that’s associated with ħ, but… Well… No. There’s no such thing as a quantum of momentum. Not now in any case. Maybe later. 🙂 But, for now, we only have a quantum of action. So we’ll just call ħ/lP = FP∙tP the Planck momentum for the time being. In case you didn’t get this from what I wrote above: the brackets here, i.e. the [ and ] symbols, mean: ‘the dimension of what’s between the brackets’. OK. So far so good. It may all look like kids stuff – it actually is kids stuff so far – but the idea is quite fundamental: we’re thinking here of some amount of action (h or ħ, to be precise, i.e. the quantum of action) expressing itself in time or, alternatively, expressing itself in space. In the former case, some amount of energy is expended during some time. In the latter case, some momentum is expended over some distance. Of course, ideally, we should try to think of action expressing itself in space and time simultaneously, so we should think of it as expressing itself in spacetime. In fact, that’s what the so-called Principle of Least Action in physics is all about—but I won’t dwell on that here, because… Well… It’s not an easy topic, and the diversion would lead us astray. 🙂 What we will do, however, is apply the idea above to the two de Broglie relations: E = ħω and p = ħk. I assume you know these relations by now. If not, just check one of my many posts on them. Let’s see what we can do with them. So we should try to think of what that union might represent—and that surely includes looking at the de Broglie equations as a pair of matter-wave equations. Likewise, we should also think of the Uncertainty Principle as a pair of equations: ΔpΔx ≥ ħ/2 and ΔEΔt ≥ ħ/2—but I’ll come back to those later. The ω in the E = ħω equation and the argument (θ = kx – ωt) of the wavefunction is a frequency in time (or temporal frequency). It’s a frequency expressed in radians per second. You get one radian by dividing one cycle by 2π. In other words, we have 2π radians in one cycle. So ω is related the frequency you’re used to, i.e. f—the frequency expressed in cycles per second (i.e. hertz): we multiply f by 2π to get ω. So we can write: E = ħω = ħ∙2π∙f = h∙f, with h = ħ∙2π (or ħ = h/2π). Likewise, the k in the p = ħk equation and the argument (θ = kx – ωt) of the wavefunction is a frequency in space (or spatial frequency). Unsurprisingly, it’s expressed in radians per meter. At this point, it’s good to properly define the radian as a unit in quantum mechanics. We often think of a radian as some distance measured along the circumference, because of the way the unit is constructed (see the illustration below) but that’s right and wrong at the same time. In fact, it’s more wrong than right: the radian is an angle that’s defined using the length of the radius of the unit circle but, when everything is said and done, it’s a unit used to measure some angle—not a distance. That should be obvious from the 2π rad = 360 degrees identity. The angle here is the argument of our wavefunction in quantum mechanics, and so that argument combines both time (t) as well as distance (x): θ = kx – ωt = k(x – c∙t). So our angle (the argument of the wavefunction) integrates both dimensions: space as well as time. If you’re not convinced, just do the dimensional analysis of the kx – ωt expression: both the kx and ωt yield a dimensionless number—or… Well… To be precise, I should say: the kx and ωt products both yield an angle expressed in radians. That angle connects the real and imaginary part of the argument of the wavefunction. Hence, it’s a dimensionless number—but that does not imply it is just some meaningless number. It’s not meaningless at all—obviously! Let me try to present what I wrote above in yet another way. The θ = kx – ωt = (p/ħ)·x − (E/ħ)·t equation suggests a fungibility: the wavefunction itself also expresses itself in time and/or in space, so to speak—just like the quantum of action. Let me be precise: the p·x factor in the (p/ħ)·x term represents momentum (whose dimension is N·s) being expended over a distance, while the E·t factor in the (E/ħ)·t term represents energy (expressed in N·m) being expended over some time. [As for the minus sign in front of the (E/ħ)·t term, that’s got to do with the fact that the arrow of time points in one direction only while, in space, we can go in either direction: forward or backwards.] Hence, the expression for the argument tells us that both are essentially fungible—which suggests they’re aspects of one and the same thing. So that‘s what Minkowski intuition is all about: spacetime is one, and the wavefunction just connects the physical properties of whatever it is that we are observing – an electron, or a photon, or whatever other elementary particle – to it. Of course, the corollary to thinking of unified spacetime is thinking of the real and imaginary part of the wavefunction as one—which we’re supposed to do as a complex number is… Well… One complex number. But that’s easier said than actually done, of course. One way of thinking about the connection between the two spacetime ‘dimensions’ – i.e. t and x, with x actually incorporating three spatial dimensions in space in its own right (see how confusing the term ‘dimension’ is?) – and the two ‘dimensions’ of a complex number is going from Cartesian to polar coordinates, and vice versa. You now think of Euler’s formula, of course – if not, you should – but let me insert something more interesting here. 🙂 I took it from Wikipedia. 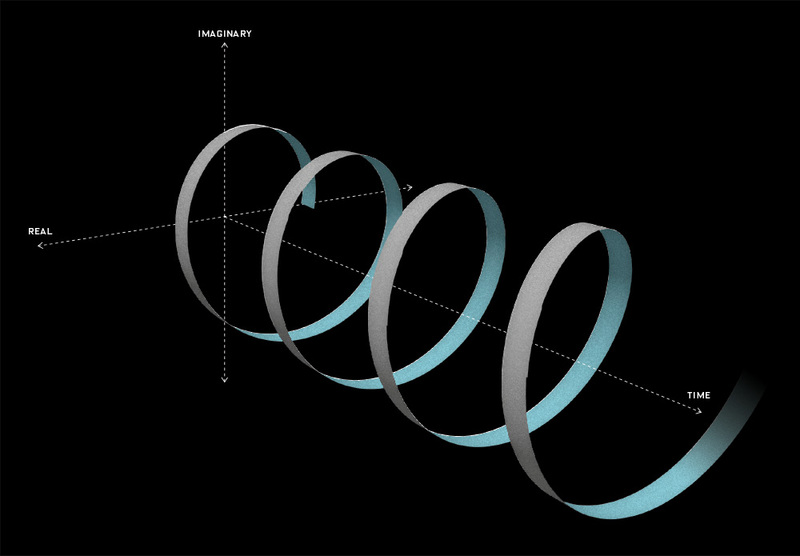 It illustrates how a simple sinusoidal function transforms as we go from Cartesian to polar coordinates. Interesting, isn’t it? Think of the horizontal and vertical axis in the Cartesian space as representing time and… Well… Space indeed. 🙂 The function connects the space and time dimension and might, for example, represent the trajectory of some object in spacetime. Admittedly, it’s a rather weird trajectory, as the object goes back and forth in some box in space, and accelerates and decelerates all of the time, reversing its direction in the process… But… Well… Isn’t that how we think of a an electron moving in some orbital? 🙂 With that in mind, look at how the same movement in spacetime looks like in polar coordinates. It’s also some movement in a box—but both the ‘horizontal’ and ‘vertical’ axis (think of these axes as the real and imaginary part of a complex number) are now delineating our box. So, whereas our box is a one-dimensional box in spacetime only (our object is constrained in space, but time keeps ticking), it’s a two-dimensional box in our ‘complex’ space. Isn’t it just nice to think about stuff this way? Let’s get back to the topic we were discussing here. We were talking about natural units. More in particular, we were wondering: what’s natural? What does it mean? Let’s start with time and distance. We may want to think of lP and tP as the smallest distance and time units possible—so small, in fact, that both distance and time become countable variables at that scale. Huh? Yes. I am sure you’ve never thought of time and distance as countable variables but I’ll come back to this rather particular interpretation of the Planck length and time unit later. So don’t worry about it now: just make a mental note of it. The thing is: if tP and lP are the smallest time and distance units possible, then the smallest cycle we can possibly imagine will be associated with those two units: we write: ωP = 1/tP and kP = 1/lP. What’s the ‘smallest possible’ cycle? Well… Not sure. You should not think of some oscillation in spacetime as for now. Just think of a cycle. Whatever cycle. So, as for now, the smallest cycle is just the cycle you’d associate with the smallest time and distance units possible—so we cannot write ωP = 2/tP, for example, because that would imply we can imagine a time unit that’s smaller than tP, as we can associate two cycles with tP now. You’ll say that I am just repeating myself here, as I’ve given you those two equations already. Well… Yes and no. At this point, you should raise the following question: why are we using the angular frequency (ωP = 2π·fP) and the reduced Planck constant (ħ = h/2π), rather than fP or h? That’s a great question. In fact, it begs the question: what’s the physical constant really? We have two mathematical constants – ħ and h – but they must represent the same physical reality. So is one of the two constants more real than the other? The answer is unambiguously: yes! The Planck energy is defined as EP = ħ/tP =(h/2π)/tP, so we cannot write this as EP = h/tP. The difference is that 1/2π factor, and it’s quite fundamental, as it implies we’re actually not associating a full cycle with tP and lP but a radian of that cycle only. We can quickly double-check this by dividing FP = ħ∙c/lP2 by FP = ħ/(c∙tP2). We get: 1 = c2∙tP2/lP2 ⇔ lP2/tP2 = c2 ⇔ lP/tP = c.
Nice. However, this does not uniquely define FP, lP, and tP. The problem is that we’ve got only two equations (ħ = FP∙lP∙tP and lP/tP = c) for three unknowns (FP, lP, and tP). Can we throw in one or both of the de Broglie equations to get some final answer? I wish that would help, but it doesn’t—because we get the same ħ = FP∙lP∙tP equation. Indeed, we’re just re-defining the Planck energy (and the Planck momentum) by that EP = ħ/tP (and pP = ħ/lP) equation here, and so that does not give us a value for EP (and pP). So we’re stuck. We need some other formula so we can calculate the third unknown, which is the Planck force unit (FP). What formula could we possibly choose? Well… We got a relationship by imposing the condition that lP/tP = c, which implies that if we’d measure the velocity of a photon in Planck time and distance units, we’d find that its velocity is one, so c = 1. Can we think of some similar condition involving ħ? The answer is: we can and we can’t. It’s not so simple. Remember we were thinking of the smallest cycle possible? We said it was small because tP and lP were the smallest units we could imagine. But how do we define that? The idea is as follows: the smallest possible cycle will pack the smallest amount of action, i.e. h (or, expressed per radian rather than per cycle, ħ). So we have that mass-energy equivalence, which is also a mass-momentum equivalence according to that E = m∙c2 = m∙c∙c = p∙c formula. And so now the gravitational force comes into play: there’s a limit to the amount of energy we can pack into a tiny space. Or… Well… Perhaps there’s no limit—but if we pack an awful lot of energy into a really tiny speck of space, then we get a black hole. However, we’re getting a bit ahead of ourselves here, so let’s first try something else. Let’s throw in the Uncertainty Principle. ΔpΔx ≥ ħ/2 and ΔEΔt ≥ ħ/2. Note that the ħ/2 factor on the right-hand side quantifies the uncertainty, while the right-hand side of the two equations (ΔpΔx and ΔEΔt) are just an expression of that fundamental uncertainty. In other words, we have two equations (a pair), but there’s only one fundamental uncertainty, and it’s an uncertainty about a movement in spacetime. Hence, that uncertainty expresses itself in both time as well as in space. Interesting, isn’t it? It explains that 1/2 factor which troubled us when playing with the de Broglie relations. What to do? Well… I will give you the answer now—the answer you’ve been waiting for, really—but not the technicalities of it. There’s a thing called the Schwarzschild radius, aka as the gravitational radius. Let’s analyze it. […] But… Well… Look at this: we’ve been cheating all the way. First, we just gave you that formula for the Schwarzschild radius. It looks like an easy formula but its derivation involves a profound knowledge of general relativity theory. So we’d need to learn about tensors and what have you. The formula is, in effect, a solution to what is known as Einstein’s field equations, and that’s pretty complicated stuff. Finally, I should note one more thing: I did not use 2m but m in Schwarzschild’s formula. Why? Well… I have no good answer to that. I did it to ensure I got the result we wanted to get. It’s that 1/2 factor again. In fact, the E = m = p = ħ/2 is the correct formula to use, and all would come out alright if we did that and defined the magnitude of the uncertainty as one unit only, but so we used the E = m = p = ħ formula instead, i.e. the equation that’s associated with a photon. You can re-do the calculations as an exercise: you’ll see it comes out alright. Just to make things somewhat more real, let me note that the Planck energy is very substantial: 1.9561×109 N·m ≈ 2×109 J is equivalent to the energy that you’d get out of burning 60 liters of gasoline—or the mileage you’d get out of 16 gallons of fuel! In short, it’s huge, and so we’re packing that into a unimaginably small space. To understand how that works, you can think of the E = h∙f ⇔ h = E/f relation once more. The h = E/f ratio implies that energy and frequency are directly proportional to each other, with h the coefficient of proportionality. Shortening the wavelength, amounts to increasing the frequency and, hence, the energy. So, as you think of our cycle becoming smaller and smaller, until it becomes the smallest cycle possible, you should think of the frequency becoming unimaginably large. Indeed, as I explained in one of my other posts on physical constants, we’re talking the the 1043 Hz scale here. However, we can always choose our time unit such that we measure the frequency as one cycle per time unit. Because the energy per cycle remains the same, it means the quantum of action (ħ = FP∙lP∙tP) expresses itself over extremely short time spans, which means the EP = FP∙lP product becomes huge, as we’ve shown above. The rest of the story is the same: gravity comes into play, and so our little blob in spacetime becomes a tiny black hole. Again, we should think of both space and time: they are joined in ‘some kind of union’ here, indeed, as they’re intimately connected through the wavefunction, which travels at the speed of light. OK. Now I am going to present the big idea I started with. Let me first ask you a question: when thinking about the Planck-Einstein relation (I am talking about the E = ħ∙ω relation for a photon here, rather than the equivalent de Broglie equation for a matter-particle), aren’t you struck by the fact that the energy of a photon depends on the frequency of the electromagnetic wave only? I mean… It does not depend on its amplitude. The amplitude is mentioned nowhere. The amplitude is fixed, somehow—or considered to be fixed. Isn’t that strange? I mean… For any other physical wave, the energy would not only depend on the frequency but also on the amplitude of the wave. For a photon, however, it’s just the frequency that counts. Light of the same frequency but higher intensity (read: more energy) is not a photon with higher amplitude, but just more photons. So it’s the photons that add up somehow, and so that explains the amplitude of the electric and magnetic field vectors (i.e. E and B) and, hence, the intensity of the light. However, every photon considered separately has the same amplitude apparently. We can only increase its energy by increasing the frequency. In short, ω is the only variable here. Let’s look at that angular frequency once more. As you know, it’s expressed in radians per second but, if you multiply ω by 2π, you get the frequency you’re probably more acquainted with: f = 2πω = f cycles per second. The Planck-Einstein relation is then written as E = h∙f. That’s easy enough. But what if we’d change the time unit here? For example, what if our time unit becomes the time that’s needed for a photon to travel one meter? Let’s examine it. Let’s denote that time unit by tm, so we write: 1 tm = 1/c s ⇔ tm–1 = c s–1, with c ≈ 3×108. The frequency, as measured using our new time unit, changes, obviously: we have to divide its former value by c now. So, using our little subscript once more, we could write: fm = f/c. [Why? Just add the dimension to make things more explicit: f s–1 = f/c tm–1 = f/c tm–1.] But the energy of the photon should not depend on our time unit, should it? Don’t worry. It doesn’t: the numerical value of Planck’s constant (h) would also change, as we’d replace the second in its dimension (N∙m∙s) by c times our new time unit tm. However, Planck’s constant remains what it is: some physical constant. It does not depend on our measurement units: we can use the SI units, or the Planck units (FP, lP, and tP), or whatever unit you can think of. It doesn’t matter: h (or ħ = h/2π) is what is—it’s the quantum of action, and so that’s a physical constant (as opposed to a mathematical constant) that’s associated with one cycle. Now, I said we do not associate the wavefunction of a photon with an amplitude, but we do associate it with a wavelength. We do so using the standard formula for the velocity of a wave: c = f∙λ ⇔ λ = c/f. We can also write this using the angular frequency and the wavenumber: c = ω/k, with k = 2π/λ. We can double-check this, because we know that, for a photon, the following relation holds: E/p = c. Hence, using the E = ħ∙ω and p = ħ∙k relations, we get: (ħ∙ω)/(ħ∙k) = ω/k = c. So we have options here: h can express itself over a really long wavelength, or it can do so over an extremely short wavelength. We re-write p = ħ∙k as p = E/c = ħ∙2π/λ = h/λ ⇔ E = h∙c/λ ⇔ h∙c = E∙λ. We know this relationship: the energy and the wavelength of a photon (or an electromagnetic wave) are inversely proportional to each other. Once again, we may want to think of the shortest wavelength possible. As λ gets a zillion times smaller, E gets a zillion times bigger. Is there a limit? There is. As I mentioned above, the gravitational force comes into play here: there’s a limit to the amount of energy we can pack into a tiny space. If we pack an awful lot of energy into a really tiny speck of space, then we get a black hole. In practical terms, that implies our photon can’t travel, as it can’t escape from the black hole it creates. That’s what that calculation of the Schwarzschild radius was all about. We can—in fact, we should—now apply the same reasoning to the matter-wave. Instead of a photon, we should try to think of a zero-mass matter-particle. You’ll say: that’s a contradiction. Matter-particles – as opposed to force-carrying particles, like photons (or bosons in general) – must have some rest mass, so they can’t be massless. Well… Yes. You’re right. But we can throw the rest mass in later. I first want to focus on the abstract principles, i.e. the propagation mechanism of the matter-wave. Using natural units, we know our particle will move in spacetime with velocity Δx/Δt = 1/1 = 1. Of course, it has to have some energy to move, or some momentum. We also showed that, if it’s massless, and the elementary wavefunction is ei[(p/ħ)x – (E/ħ)t), then we know the energy, and the momentum, has to be equal to ħ/2. Where does it get that energy, or momentum? Not sure. I like to think it borrows it from spacetime, as it breaks some potential barrier between those two points, and then it gives it back. Or, if it’s at point x = t = 0, then perhaps it gets it from some other massless particle moving from x = t = −1. In both cases, we’d like to think our particle keeps moving. So if the first description (borrowing) is correct, it needs to keep borrowing and returning energy in some kind of interaction with spacetime itself. If it’s the second description, it’s more like spacetime bumping itself forward. In both cases, however, we’re actually trying to visualize (or should I say: imagine?) some oscillation of spacetime itself, as opposed to an oscillation in spacetime. Huh? Yes. The idea is the following here: we like to think of the wavefunction as the dependent variable: both its real as well as its imaginary part are a function of x and t, indeed. But what if we’d think of x and t as dependent variables? In that case, the real and imaginary part of the wavefunction would be the independent variables. It’s just a matter of perspective. We sort of mirror our function: we switch its domain for its range, and its range for its domain, as shown below. It all makes sense, doesn’t it? Space and time appear as separate dimensions to us, but they’re intimately connected through c, ħ and the other fundamental physical constants. Likewise, the real and imaginary part of the wavefunction appear as separate dimensions, but they’re intimately connected through π and Euler’s number, i.e. through mathematical constants. That cannot be a coincidence: the mathematical and physical ‘space’ reflect each other through the wavefunction, just like the domain and range of a function reflect each other through that function. So physics and math must meet in some kind of union—at least in our mind, they do! So, yes, we can—and probably should—be looking at the wavefunction as an oscillation of spacetime, rather than as an oscillation in spacetime only. As mentioned in my introduction, I’ll need to study general relativity theory—and very much in depth—to convincingly prove that point, but I am sure it can be done. We have this E/c = p relation. The mass-energy equivalence relation implies momentum must also have an equivalent mass. If E = m∙c2, then p = m∙c ⇔ m = p/c. It’s obvious, but I just thought it would be useful to highlight this. The integral is not all that important. Just note its dimension is the dimension of action indeed, as we multiply energy (the integrand) with time (dt). We can use the Principle of Least Action to re-state Newton’s Law, or whatever other classical law. Among other things, we’ll find that, in the absence of any potential, the trajectory of a particle will just be some straight line. Post scriptum note added on 11 July 2016: This is one of the more speculative posts which led to my e-publication analyzing the wavefunction as an energy propagation. With the benefit of hindsight, I would recommend you to immediately read the more recent exposé on the matter that is being presented here, which you can find by clicking on the provided link. Both are the same, and then they’re not. The illustration on the right-hand side is a regular quantum-mechanical wavefunction, i.e. an amplitude wavefunction. You’ve seen that one before. In this case, the x-axis represents time, so we’re looking at the wavefunction at some particular point in space. ]You know we can just switch the dimensions and it would all look the same.] The illustration on the left-hand side looks similar, but it’s not an amplitude wavefunction. The animation shows how the electric field vector (E) of an electromagnetic wave travels through space. Its shape is the same. So it’s the same function. Is it also the same reality? In fact, I should write the second equation as ∂E/∂t = c2∇×B, but then I assume we measure time and distance in equivalent units, so c = 1. You know that E and B are two aspects of one and the same thing: if we have one, then we have the other. To be precise, B is always orthogonal to E in the direction that’s given by the right-hand rule for the following vector cross-product: B = ex×E, with ex the unit vector pointing in the x-direction (i.e. the direction of propagation). The reality behind is illustrated below for a linearly polarized electromagnetic wave. Re(∂ψB/∂t) = −(ħ/m)·Im(∇2ψB) and Im(∂ψB/∂t) = (ħ/m)·Re(∇2ψB). So we see that both conditions are fulfilled if, and only if, ω = k2·(ħ/m). In other words, Maxwell’s equations imply that ω = k, which is consistent with us measuring time and distance in equivalent units, so the phase velocity is c = 1 = ω/k. What does this imply? The p here is the momentum: p = m·v, so this condition implies v must be equal to 1 too, so the wave velocity is equal to the speed of light. Makes sense, because we actually are talking light here. 🙂 In addition, because it’s light, we also know E/p = c = 1, so we have – once again – the general E = p = m equation, which we’ll need! ψB = ei(kBx − ωBt). pB = EB = mB. The obvious question is: can we just add them up to find the total energy and momentum of our photon? The answer is obviously positive: E = EE + EB, p = pE + pB and m = mE + mB. We can think of a photon having some energy that’s equal to E = p = m (assuming c = 1), but that energy would be split up in an electric and a magnetic wavefunction respectively: ψE and ψB. Schrödinger’s equation applies to both wavefunctions, but the E, p and m in those two wavefunctions are the same and not the same: their numerical value is the same (pE =EE = mE = pB =EB = mB), but they’re conceptually different. They must be: if not, we’d get a phase and group velocity for the wave that doesn’t make sense. Of course, the phase and group velocity for the sum of the ψE and ψB waves must also be equal to c. This is obviously the case, because we’re adding waves with the same phase and group velocity c, so there’s no issue with the dispersion relation. Indeed, we can see we’re going to obtain the same result, because the −sinθ in the real part of our composite wavefunction is equal to cos(θ+π/2), and the −cosθ in its imaginary part is equal to sin(θ+π/2). So the sum above is the same sum of cosines and sines that we did already. What about the √2 factor in front, and the π/4 term in the argument itself? No sure. It must have something to do with the way the magnetic force works, which is not like the electric force. Indeed, remember the Lorentz formula: the force on some unit charge (q = 1) will be equal to F = E + v×B. So… Well… We’ve got another cross-product here and so the geometry of the situation is quite complicated: it’s not like adding two forces F1 and F2 to get some combined force F = F1 and F2. In any case, we need the energy, and we know that its proportional to the square of the amplitude, so… Well… We’re spot on: the square of the √2 factor in the √2·cos product and √2·sin product is 2, so that’s twice… Well… What? Hold on a minute! We’re actually taking the absolute square of the E + B = ψE + ψB = E + i·E = √2·ei(p·x/2 − E·t/2 + π/4) wavefunction here. Is that legal? I must assume it is—although… Well… Yes. You’re right. We should do some more explaining here. We know that we usually measure the energy as some definite integral, from t = 0 to some other point in time, or over the cycle of the oscillation. So what’s the cycle here? Our combined wavefunction can be written as √2·ei(p·x/2 − E·t/2 + π/4) = √2·ei(θ/2 + π/4), so a full cycle would correspond to θ going from 0 to 4π here, rather than from 0 to 2π. So that explains the √2 factor in front of our wave equation. The amplitudes of identitical bosonic particles interfere with a positive sign, so we have Bose-Einstein statistics here. As Feynman writes it: (amplitude direct) + (amplitude exchanged). The amplitudes of identical fermionic particles interfere with a negative sign, so we have Fermi-Dirac statistics here: (amplitude direct) − (amplitude exchanged). I. For a massless particle (i.e. a zero-mass fermion), our wavefunction is just ψ = ei(p·x − E·t). So we have no √2 or √2·ei(π/4) factor in front here. So we can just add any number of them – ψ1 + ψ2 + ψ3 + … – and then take the absolute square of the amplitude to find a probability density, and we’re done. So… Well… I still need to connect this to Feynman’s (amplitude direct) ± (amplitude exchanged) formula, but I am sure it can be done. −i·√2·ei(π/4)·e−i∙[p·x − E·t]/2·(i·E/2) = −i·(1/m)·√2·ei(π/4)·e−i∙[p·x − E·t]/2·(p2/4) ⇔ 1/2 = 1/4!? That’s funny ! It doesn’t work ! The E and m and p2 are OK because we’ve got that E = m = p equation, but we’ve got problems with yet another factor 2. It only works when we use the 2/m coefficient in Schrödinger’s equation. So… Well… There’s no choice. That’s what we’re going to do. The Schrödinger equation for the photon is ∂ψ/∂t = i·(2/m)·∇2ψ ! It’s a very subtle point. This is all great, and very fundamental stuff! Let’s now move on to Schrödinger’s actual equation, i.e. the ∂ψ/∂t = i·(ħ/2m)·∇2ψ equation. Just double-check it: 1.0545718×10−34/(1.6162×10−35·5.391×10−44) = 1.21×1044. Bingo! You’ll say: what’s the point? The point is: our model is complete. We don’t need the other physical constants – i.e. the Coulomb, Boltzmann and gravitational constant – to calculate the Planck units we need, i.e. the Planck force, distance and time units. It all comes out of our elementary wavefunction! All we need to explain the Universe – or, let’s be more modest, quantum mechanics – is two numerical constants (c and ħ) and Euler’s formula (which uses π and e, of course). That’s it. We already drew attention to the fact that an equation like this models some flow. To be precise, the Laplacian on the right-hand side is the second derivative with respect to x here, and, therefore, expresses a flux density: a flow per unit surface area, i.e. per square meter. To be precise: the Laplacian represents the flux density of the gradient flow of ψ. You should be able to show that the two equations above are effectively equivalent to Schrödinger’s equation. If not… Well… Then you should not be reading this stuff.] The two equations above show that the real part of the wavefunction feeds into its imaginary part, and vice versa. Both are as essential. Let me say this one more time: the so-called real and imaginary part of a wavefunction are equally real—or essential, I should say! What’s k and ω? Don’t worry about it—for the moment, that is. We’ve done nothing special here. In fact, we’re used to representing waves as some sine or cosine function, so that’s what we are doing here. Nothing more. Nothing less. We just need two sinusoids because of the circular polarization of our electromagnetic wave. So that’s different from the E = m = p equality we imposed when discussing the wavefunction of the zero-mass particle: we’ve got that 1/2 factor which bothered us so much once again! And it’s causing us the same trouble: how do we interpret that m = p/2 equation? It leads to nonsense once more! E = m·c2 = m, but E is also supposed to be equal to p·c = p. Here, however, we find that E = p/2! We also get strange results when calculating the group and phase velocity. So… Well… What’s going on here? However, the good news is that we also get a magnetic field vector with an electromagnetic wave: B. We know B is always orthogonal to E, and in the direction that’s given by the right-hand rule for the vector cross-product. Indeed, we can write B as B = ex×E/c, with ex the unit vector pointing in the x-direction (i.e. 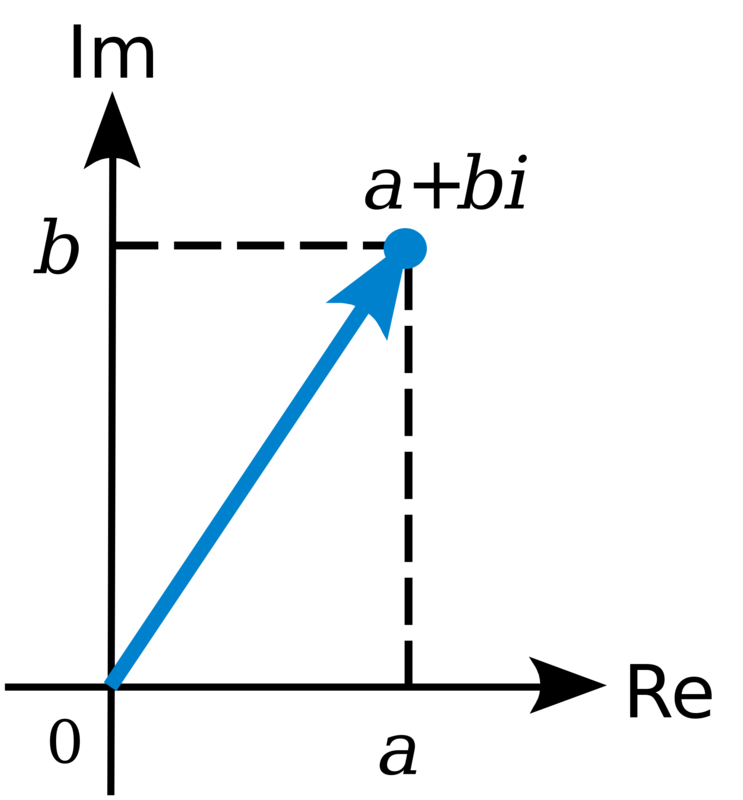 the direction of propagation), as shown below. Should we just add mE and mE to get a total momentum and, hence, a total energy, that’s equal to E = m = p for the whole wave? I believe we should, but I haven’t quite figured out how we should interpret that summation! So… Well… Sorry to disappoint you. I haven’t got the answer here. But I do believe my instinct tells me the truth: the wavefunction for an electromagnetic wave—so that’s the wavefunction for a photon, basically—is essentially the same as our wavefunction for a zero-mass particle. It’s just that we get two wavefunctions for the price of one. That’s what distinguishes bosons from fermions! And so I need to figure out how they differ exactly! And… Well… Yes. That might take me a while! In the meanwhile, we should play some more with those E and B vectors, as that’s going to help us to solve the riddle—no doubt! So we can now associate a wavefunction ψB with the field magnetic field vector B, which is the same wavefunction as ψE except for a phase shift equal to π/2. You’ll say: so what? Well… Nothing much. I guess this observation just concludes this long digression on the wavefunction of a photon: it’s the same wavefunction as that of a zero-mass particle—except that we get two for the price of one! It’s an interesting way of looking at things. Let’s look at the equations we started this post with, i.e. Maxwell’s equations in free space—i.e. no stationary charges, and no currents (i.e. moving charges) either! So we’re talking those ∂B/∂t = –∇×E and ∂E/∂t = ∇×B equations now. This result can, obviously, be true only if ω = k, which we assume to be the case, as we’re measuring time and distance in equivalent units, so the phase velocity is c = 1 = ω/k.